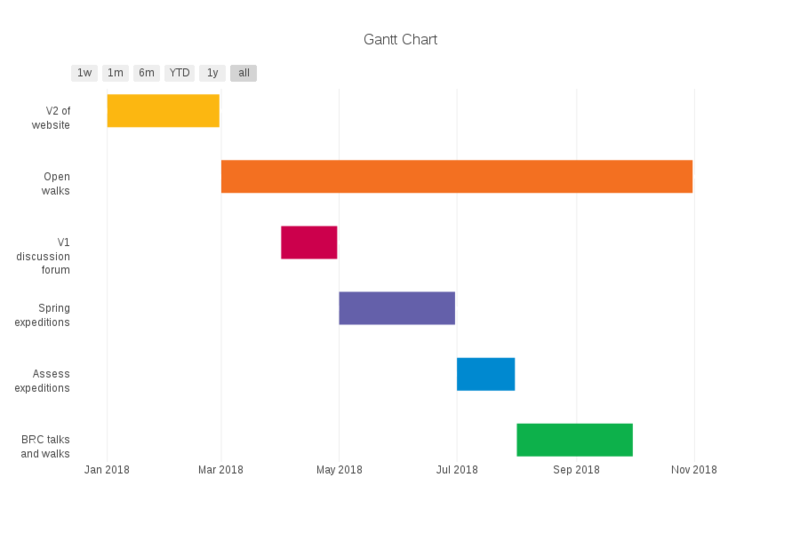 I would like a Gantt chart like one of the ones here: https://plot.ly/python/gantt/. I would like to have vertical grid lines for the x values, similar to the pandas example in the above link. I would like an aesthetically pleasant color scheme but don't need to sort by an additional variable. Please include your code, bonus for using Jupyter Notebook so I can re-run your code. Awesome, dig it. Looks good--is there any chance you can flip the orientation so early things are on top? I have a version that works offline in Jupyter. You will need to have plotly installed, which can be done with pip. Just tell me if you need any help installing it. You can get the API key from the settings section on your Plotly account.